Opposite Maccas at the lights. 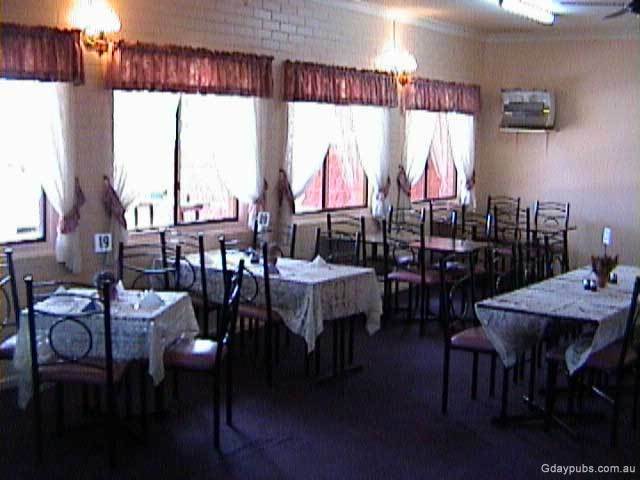 At the Kingaroy Hotel Motel we pride ourselves on creating an enjoyable & memorable family friendly dining experience. Come into the pub and check out our new menu, loaded with flavour and variety. Our friendly staff will be more than happy to cater to your needs as best we can. With 3 different bars we have something to suit everyone. Come on in and give them all a try to see what we have to offer! FRONT BAR - where most of the action happens! Friday afternoon raffles and live music either Friday or Saturday nights. You can often find people singing along and busting out some killer dance moves on our live music nights. Come meet our friendly staff who have plenty of skills and lots of variety to quench your thirst! 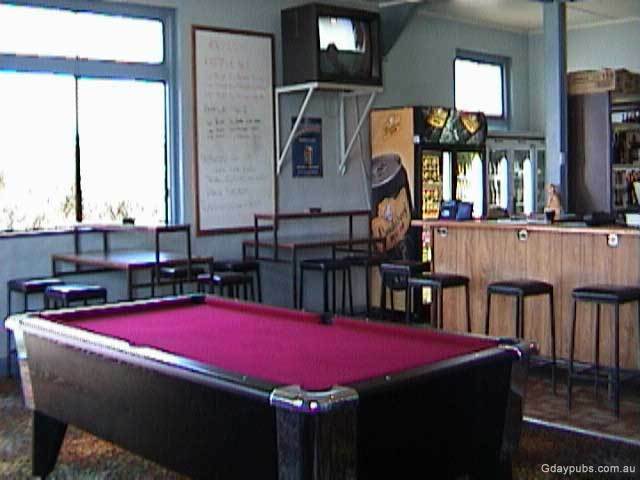 LOUNGE BAR - Our lounge bar is a nice and relaxing small bar area that you can get some drinks to head out to our Beer Garden area, restaurant or lounge areas. COCKTAIL BAR - Our Cocktail bar is where you'll get some fancy cocktails made by our experienced staff! We have a wide selection for you to choose from and are also willing to mix it up on a special request. 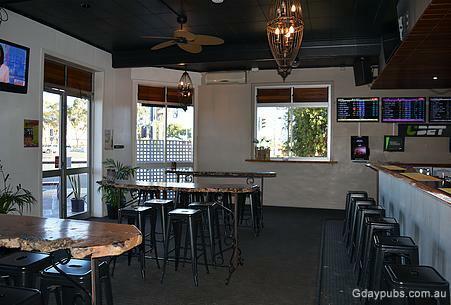 Sit down and relax on our high top tables or have a seat in our lounge area with comfy couches and nice chilly air conditioning or toasty warm (during the winter). 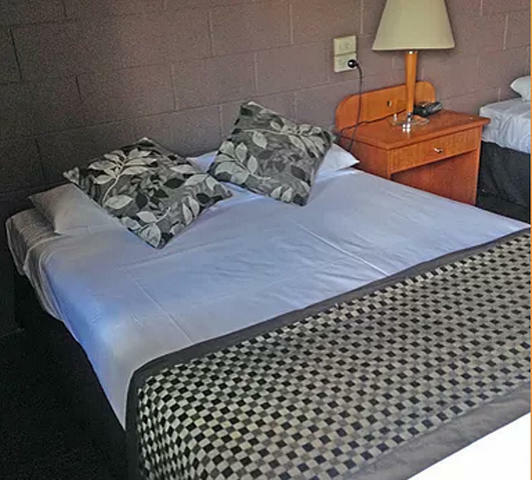 Kingaroy Hotel Motel Offer's Accommodation From $70 Per Person. 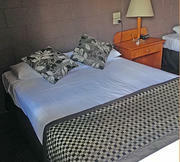 We also have one room that has 2 bedrooms within 1 room that will fit up to 4 people. 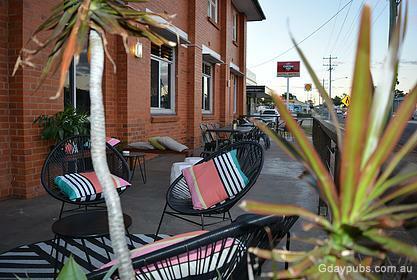 Photo courtesy of Emma at the Kingaroy. Courtesy of Emma from the Kingaroy. 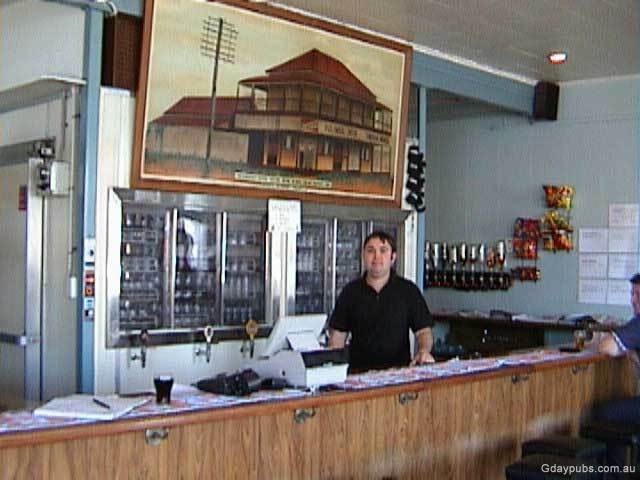 The painting which hung above the bar in 2001 depicts the Pub in 1960 when it was the Kingaroy Hotel. the signwriting. 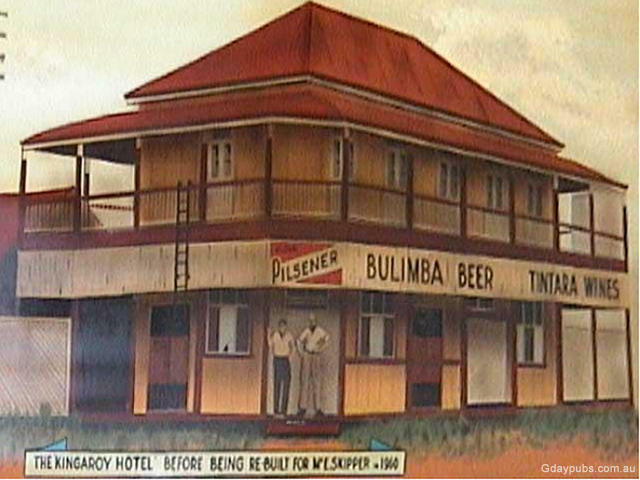 Bulimba pilsner was a Carlton beer out of Brisbane at the time. Apparently one of those love it or hate it beers. 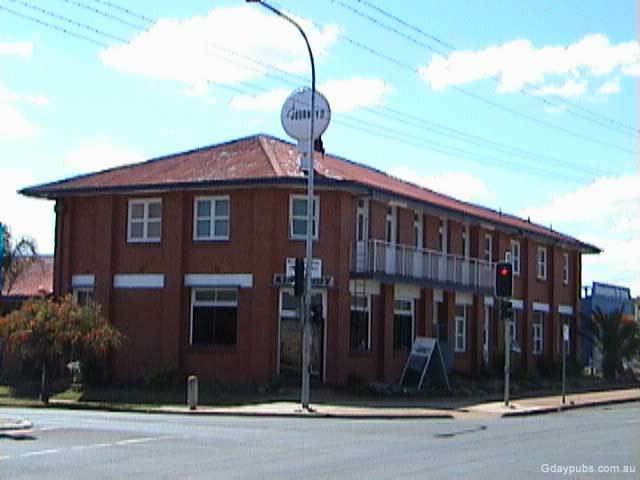 The G'day arrival in town sparked a lot of debate on which is actually the oldest Pub in the area and it does appear to be the Journey, formerly the "Kingaroy" which was established in 1899 on the Road to Taabinga and has had 3 additions since then.